Healthcare is currently slowly declining in efficiency. 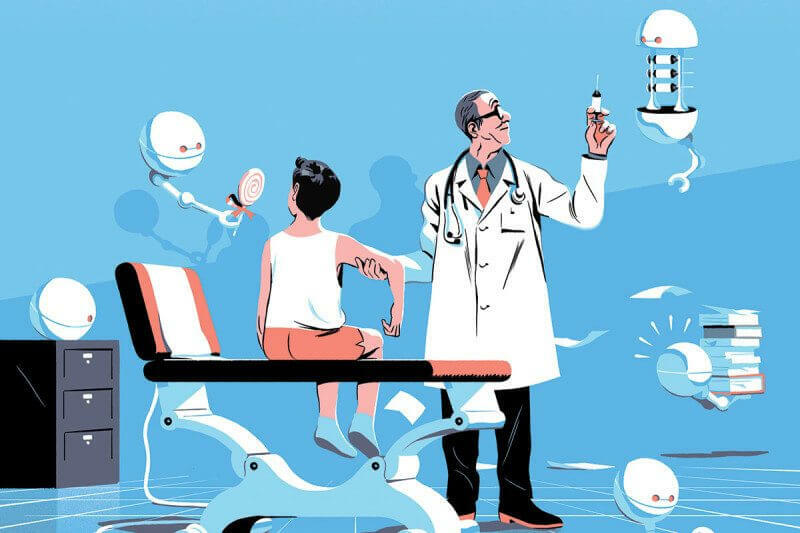 But introducing artificial intelligence (AI), a largely machine-based technology, may surprisingly turn health care back into a personal experience again. AI’s changing healthcare for a better future for everyone involved. Healthcare providers commit over 12 million serious diagnostic errors annually. $1.2 billion in spending out of a total of $3.6 billion has been conclusively linked to waste, life expectancy reduction, and high physician burnout, depression, and suicide. Conversely, technology is getting better, faster, and cheaper every day. And we have more medical data at our disposal than ever before. So it’s no surprise that the healthcare industry stands to gain a lot from implementing new innovations. This is especially the case with AI, which despite being in the early stages of integration into medicine, has already made an immense impact. One example we can look at is deep learning’s effects on healthcare; neural networks work with tons of training data to solve for specific, granularized problems. 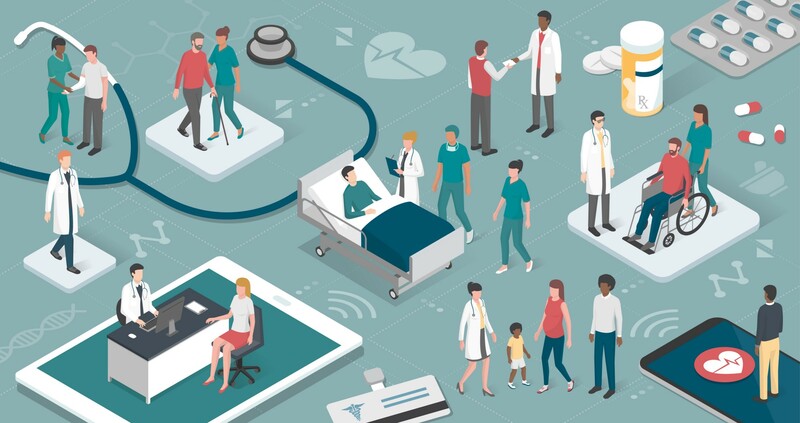 AI also provides the potential to obviate in-person office visits through remote monitoring to track patients’ health. AI chatbots dole out advice, help manage illnesses, and aid in preventing diseases. We can also look at other parts of healthcare to see how AI indirectly affects everyone’s experience. 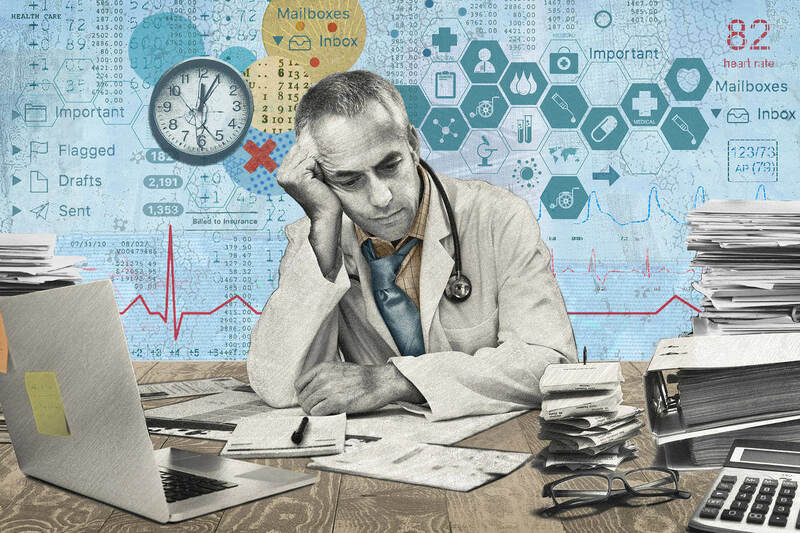 Right now, AI’s biggest impact can be felt with waste and error reduction, a better relationship with your provider, and an improved work-life balance for providers. For MedTech developers integrating AI into their applications, there will be no shortage of great ideas for the next few decades. Almost everything in healthcare stands to improve with AI integrations. AI can improve work-life balance for providers by silently taking care of numerous tasks in the background. We now have early AI technology that can read radiology scans, identify eye abnormalities with retinal imaging, find tumors, track any metastases, and send providers an alert when “bloodless blood test” potassium level reports come back with dangerously high numbers. AI can even aid doctors in diagnosing conditions and predicting disease onsets. Most conditions have a diagnostic error rate between 5 to 20%, but this rate can be higher for some conditions. This is, in part, caused by physician burnout and workload strain. Another easy application for AI in MedTech is wearables; according to a 2018 Deloitte Survey of US Health Care Consumers, almost 75% of people who use wearables report using them consistently. And 60% of wearables users surveyed are happy to share their wearable-generated private health information with their doctor to improve their health. This non-invasive method of monitoring patient health and exercise can automate a lot of a provider’s daily appointments. Researching, developing, testing, and releasing a drug can take decades. What looks like a miracle drug throughout testing could end up causing major issues for a larger group of trial patients. The price of drugs is outrageous, but in 2017, according to Deloitte, the largest U.S. biopharmaceutical companies only posted a 3.2% profit. U.S.-based BERG and Roivant Sciences and U.K.-based Exscientia are trying to change this vicious cycle with AI. BERG is working with drugmakers like Sanofi Pasteur and AstraZeneca to share clinical data. 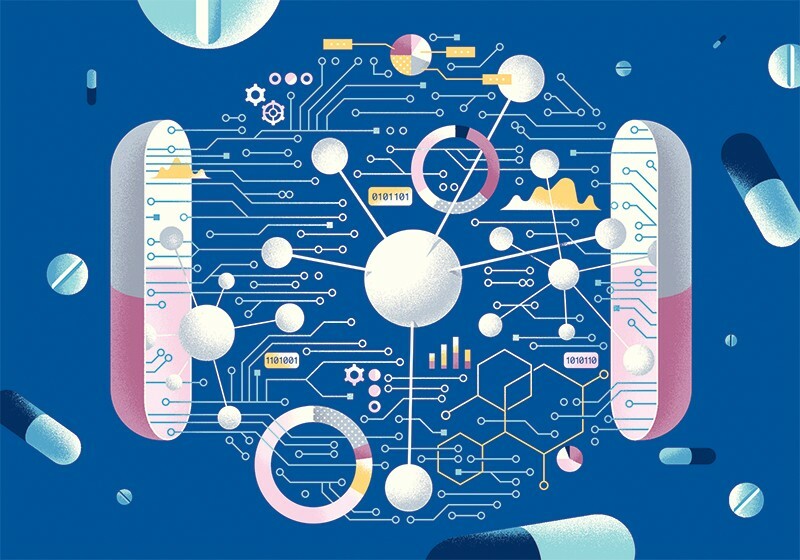 The companies will use data in an algorithm that identifies strong biological targets for new drugs and molecules that could possibly treat long-standing diseases like Parkinson’s. Sanofi Pasteur is also using large amounts of data to understand why flu vaccines work well for one patient but not for another. The flu is often not taken seriously until people start dying. Unfortunately, by then, the flu may have become a public health issue already. With pharmaceutical companies implementing AI into their R&D and testing efforts, AI’s effects trickle down to the providers and patients. In America, 14.5% of the population is 65 years or older. This number is projected to grow to 20% by 2030. For aging patients, falls and slips are a major cause for concern. AI-enabled smart devices can detect falls and alert the appropriate parties. A company named Starkey even invented a hearing aid that has a fall detector built in. Leaving the house can also be difficult for most older patients, and at-home monitoring is a big tool for this population. And since most older patients are at home all day, it can get lonely quickly. Chatbots and virtual home assistants integrated with AI make great company for elderly patients. One company has created a family-connected platform; another tailors conversations to each user to wrangle difficult-to-obtain data from the patient. Businesses often lose money and productivity when their employees visit the doctor. To avoid getting the disease in the first place, AI can help. 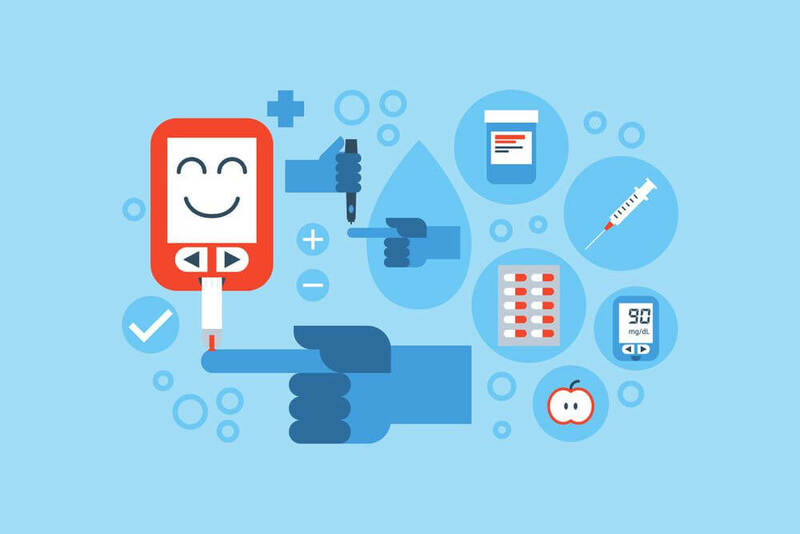 San Francisco-based Virta Health is using AI to help patients with diabetes risk avoid developing the full onset of diabetes. In early testing, the digital platform has even reversed Type 2 diabetes. By assigning a coach to each patient, the patient can get personalized recommendations, service, and answers to burning questions. Virta is also using digital tools to measure weight, blood pressure, blood sugar, and ketone bodies. Providers can use weight trends and blood sugar results to triage patients based on quantitative data. Triaging in its current form relies on a lot of qualitative variables (Is the patient outwardly bleeding? Is the patient breathing fine?). This AI application could help hospitals more objectively triage patients based on their current condition. Would you use an AI-enabled wearable in lieu of visiting the doctor? 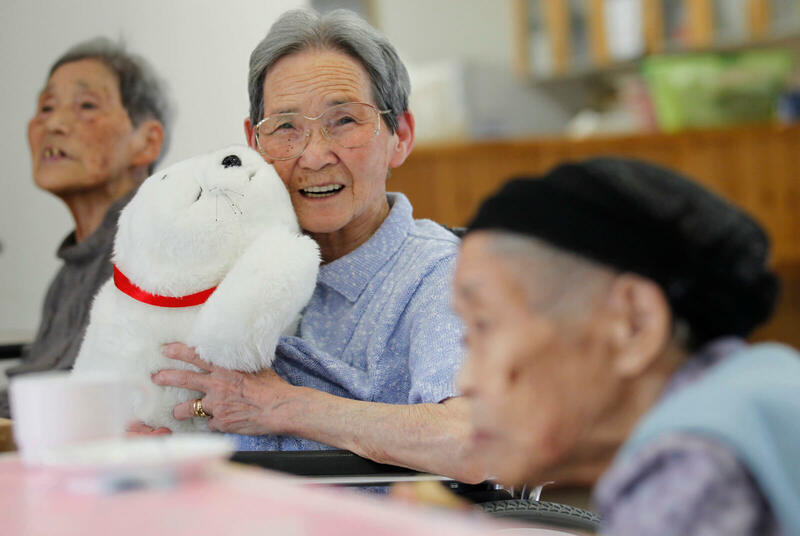 How about trusting a chatbot with keeping your grandparents company at the retirement home? Let us know what you think of health-focused AI below!